At Princeton University, a famed geneticist dies inside a biohazard lab. In Rome, a Vatican archaeologist is found dead in St. Peters Basilica. In Africa, a US Senator’s son is slain outside a Red Cross camp. Three murders on three continents bear a horrifying connection: all the victims are marked by a Druidic pagan cross burned into their flesh. The bizarre murders thrust Commander Gray Pierce and Sigma Force into a race against time to solve a riddle going back centuries, to a ghastly crime against humanity hidden within a cryptic medieval codex. The first piece of the puzzle is discovered inside a mummified corpse buried in an English peat bog-a gruesome secret that threatens America and the world. Aided by two women from his past–one his ex-lover, the other his new partner–Gray must piece together the horrifying truth. But the revelations come at a high cost, and to save the future, Pierce will have to sacrifice one of the women at his side. That alone might not be enough, as the true path to salvation is revealed in a dark prophecy of doom. Sigma Force confronts humankind’s greatest threat in an adventure that races from the Roman Coliseum to the icy peaks of Norway, from the ruins of medieval abbeys to the lost tombs of Celtic kings. The ultimate nightmare is locked within a talisman buried by a dead saint–an ancient artifact known as the Doomsday Key. Bestseller Rollins's labyrinthine sixth Sigma Force thriller (after The Last Oracle) offers plenty of intriguing science and history lessons. .... A few of the book's many highlights include genetic manipulation, traitorous beautiful women, illuminated manuscripts, saints, prophecies, curses and miracles. Rollins deftly juggles all this and more as the Sigma team races from the depths of the Vatican to the outer reaches of Norway toward an explosive confrontation with the shadowy forces of evil known as the Guild. 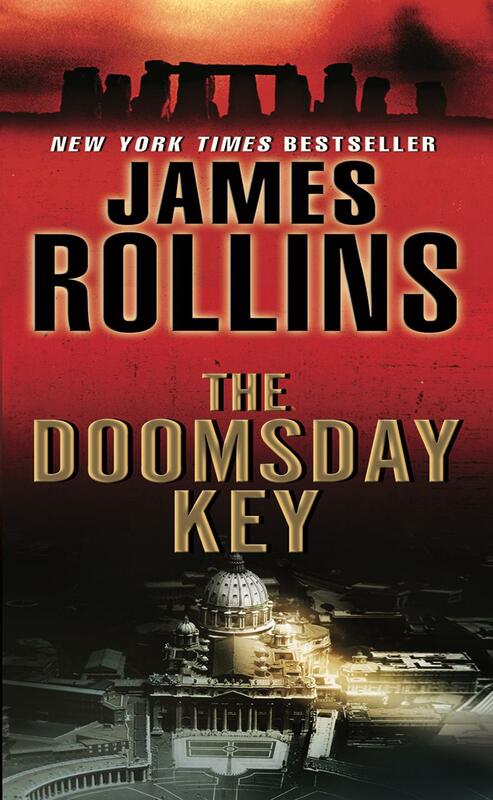 "Rollins does his job: thrills promised, then delivered." "This guy doesn't write novels-he builds roller coasters...Rollins excels at combining action and history with larger-than-life characters...A must for pure action fans." "James Rollins is a master of international action and intrigue." "Rollins's prose explodes off the page in a twisty and compelling thriller...swashbuckling adventure, elite team effort, and religious symbology all add up to another gripping and terrifying read...An amazing and brilliant techno-thriller that might be his best to date." "Rollins combines real-world science with high-octane action to create rousing stories of adventure that are as exciting as any movie." Going back to the time of Galileo, science and religion seem to be at odds, drawing lines in the sand that dared not be crossed. And I think this divide has grown wider and deeper as of late. But I think it's high time this gap be filled in with common sense, something sorely lacking in much of today's debates. The hope for our nation and our world lies within our ability to innovate and move forward technologically. We've been losing ground, as test scores in science and math have dropped precipitously. It's time for knowledge, exploration, and scientific inquiry to be respected and nurtured in this next generation. But that said, it does not mean we go blindly forward without considering consequences. The dangers of rampant technology and unregulated science are featured predominantly in my novels. But it's not the cogs and gears that make for a great story, it's the way these questions test our morality and our mettle as a society. There must be balance. Some of mankind's greatest innovators and scientists have been people of deep faith. The two are not mutually exclusive. There is common ground and it's called common sense. Q. In one of the most eye-opening plotlines within THE DOOMSDAY KEY, you explain how some genetically modified crops are invading natural crops and changing their molecular structure. What are the ramifications of this phenomenon? It's one of the greatest environmental risks with GM crops. Pollen migration and genetic contamination are a real threat. Pollen from GM crops blows in the winds, gets washed into neighboring fields. Some seeds have been found growing as far away as thirty miles. And as native species mix with engineered ones, new hybrids arise. One study states that 67% of U.S. farmland is currently contaminated with genetically-modified plants. Another example, in 2000, a GM corn called StarLink (a corn not approved for human consumption) ended up contaminating food products across the country. More than three hundred brands. It was suspected of triggering allergic reactions and resulted in a massive recall. The Kellogg Company had to close its production line for two weeks just to clean out the contamination, requiring a government bailout of the industry. So when it comes to playing with Mother Nature, any mistakes could have dire consequences. Q. In THE DOOMSDAY KEY you talk about a very secretive and elite organization, The Club of Rome, whose major concern is human overpopulation. Does this organization really exist? And are their theories about overpopulation something we should be taking more seriously? The Club of Rome is a real organization, a global think tank of scientists, politicians, economists, and business leaders. It formed during the sixties and continues to this day. Their mission is to offer a global perspective on current world crises, specifically those related to environmental issues. In 1972, they came out with a report titled Limits to Growth, where they proved that population growth would inevitably outstrip the world's ability to produce food. Once that happened, their computer models predicted annihilation of 90% of the world's population as a result of starvation, disease, war, and chaos. This model has been tested by more modern methodology with the same results. How soon will we reach that point? You only have to watch the recent food riots around the world to know we're at that brink already. Can it be stopped? Or are we too late? In The Doomsday Key, I offer a solution if we're brave enough to face it. Q. Many of your concepts are pulled from the news, or from scientific journals-what was the based-upon-fact genesis of THE DOOMSDAY KEY? Whenever I start a novel, I'm always looking for two things: a bit of science that makes me go "what if?" and a piece of history that ends in a question mark. In this book's case, the bit of history involves a mystery surrounding the people who actually built Stonehenge and the hundreds of other Neolithic stone rings that dot northern Europe. I came upon an astounding new theory that is incorporated into this book, but to tell you more would ruin the surprises. As to the science, it cuts to the core of a hot debate, one centered on the use of genetically-modified foods and the corporate war going on to gain patents and control of the world's food supply. To give you some hint of the power behind this, I'll refer you to a fateful quote from Henry Kissinger. "Control oil and you control nations, but control food and you control all the people of the world." But how do ancient stone builders and modern genetic science tie together? The answers can be found within The Doomsday Key. Q. One of the major consequences of overpopulation is food shortage and mass starvation. As a solution many companies have begun to develop genetically modified food that would greatly increase the food supply. What drew your attention to this subject and how real a threat is mass starvation? As I mentioned above, the threat is real and it's as current as today's headlines. The world's population is growing exponentially, while our ability to produce food is only growing arithmetically. We're already at that tipping point. By United Nation estimates, over one billion people are currently starving worldwide. The introduction of genetically-modified food-corn that produces its own herbicide, soybeans that can be grown with less water-has definitely helped produce greater yields. In fact, it has helped offset this impending crisis, but for how long and at what cost? Currently, there is very little regulation when it comes to genetically-modified crops. For example, of the forty GM crops approved last year, only eight have published safety studies. GM crops are a billion-dollar-a-year industry. And as we've seen with the current banking crisis, a lack of regulation opens the way for greed to overwhelm common sense. So it raises the question, what might happen to our nation's food supply when corporations control it? And most frightening of all, it's already happening. Presently in the United States, seventy-five percent of corn grown in America is genetically modified. So we're already there. Q. Readers love the scientific gems you sprinkle through your books. What was the most interesting scientific topic to research for THE DOOMSDAY KEY-something so good that you just had to put it in the book? That's simple. In fact, I open the book with this fact. During the years from 2006 to 2008, one-third of all honeybees in the United States vanished. Thriving hives were suddenly found empty, as if the bees simply flew away and never returned. The condition earned the nickname Colony Collapse Disorder. This massive and mysterious loss generated sensational headlines and fears. So what truly happened to the bees? With the pages of The Doomsday Key, lies an answer…and most frightening of all, it's true. Q. So scientists around the world are working to engineer perfect crops that aren't affected by Mother Nature. Can humans really create what nature has already done so perfectly? We'd like to think so. But there continue to be concerns about what mankind will create in the name of science, especially with the lack of regulation in this industry. For example, in 2001, a biotech company called Epicyte developed a corn seed engineered with a contraceptive agent. Consumption of the seed lessened fertility. How might that be misused? What other abuses are already being engineered in secret? And once unleashed into the environment, can it be stopped? Q. The climax of THE DOOMSDAY KEY takes place at "The Doomsday Vault." What is this vault for and does it really exist? The vault-more formally known as the Svalbard Global Seed Vault-truly does exist. It's basically a Noah's Ark for seeds. The vault is located above the Arctic Circle on a remote island of Norway, buried five hundred feet under a mountain. It houses and protects millions of seeds against a global disaster: war, pestilence, nuclear attack, earthquakes, even climate change. It was because of this reason the seed bank earned its nickname the "Doomsday Vault." Q. THE DOOMSDAY KEY is laced with information about ancient symbols; how did you research the origin of symbols-in particular the Celtic Cross, and what importance do they hold? In this novel, I explore the manner in which symbols change and transmute over time, borrowed from one civilization to another. For example, there is an intriguing and startling analysis of the history of the Celtic Cross. It came from a book The Golden Thread of Time by Crichton Miller. It sets up a strong and compelling case that this unusual form of the Christian cross might actually have its roots as an ancient surveying tool, one used to build the pyramids of Egypt and to engineer the precise alignment of ancient stone rings of Britain. I love dabbling with such concepts, where the ancient and the modern blur together. Q. What amazing adventures did you undertake in researching/mapping the plot of THE DOOMSDAY KEY? I love to travel, and I've been to many of the locales depicted in this novel: from excavating the lower levels under the Coliseum of Rome to trekking through England's Lake Country atop one of those Fell Ponies. It's always a challenge to try to capture the beauty, wonder, and history of these places within the pages of a book. Q. What's next for James Rollins? This winter, I'll be coming out with the first of a series of stand-alone novels, something independent of the Sigma series. The title of this winter's novel is Altar of Eden, and for the first time, I'll be writing with a veterinarian in the lead role, a woman who gets involved with a genetic experiment gone awry. Q. You open your new novel with a terrifying reference to the prophecies of the popes which loosely predicts that the current pope, Benedict, is the next to the last pope and that the next pope will oversee the world's end. Can you tell us a little bit more about these prophecies? During the twelfth century, an Irish Catholic priest named Saint Malachy had a doomsday vision while on a pilgrimage to Rome. In that trance, he was given knowledge of all the popes who would come until the end of the world. This grand accounting-a cryptic description of 112 popes-was recorded and safeguarded in the Vatican archives. Over the centuries, the descriptions of each pope in that book have proved to be oddly accurate-up to and including the current head of the Catholic Church, Pope Benedict XVI. In Saint Malachy's prophecy, the current pope is listed as De Gloria Olivae, the Glory of the Olives. And the Benedictine Order, from which the pope took his name, does indeed bear the olive branch as its symbol. But most disturbing of all, Pope Benedict XVI is the 111th pope. And according to this oddly accurate prophecy, the world ends with the very next one. Could this be true? Only time will tell. Q. You're a former veterinarian and you have a pretty great sense of humor...your books tend to feature a spooky critter, whether it's a man-eating squid, toothy grendels, flesh-eating swarms of frogs . What killer creature (or exceptional animal) did you mastermind for THE DOOMSDAY KEY? As a veterinarian, I always love sprinkling a few unique animals into my stories. In this particular case, I feature some sturdy ponies out of England, called Fell Ponies, whose lineage goes back to before the Vikings. I also highlight a unique means of defense that protects the security of the Doomsday Vault in Norway: namely roaming bands of polar bears. This little detail, by the way, is true. 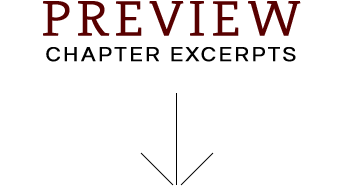 Fill out the form below to create a review for the-doomsday-key-a-sigma-force-novel. Your review will have to be approved first before it will show up on the site.